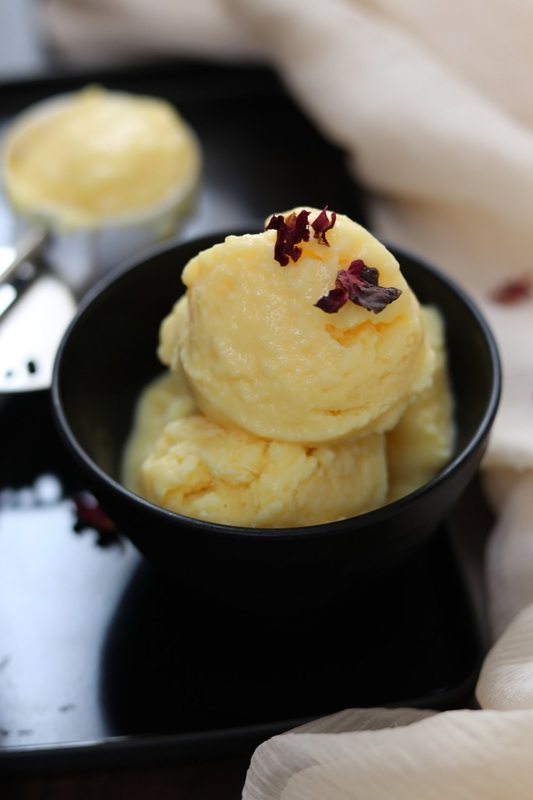 Here is homemade custard ice cream recipe to beat the summer heat. 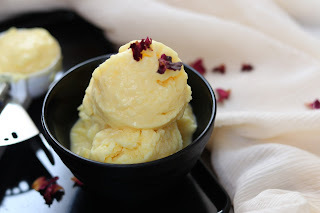 Vanilla custard ice cream is light, simple to make and is eggless ice cream recipe. Ice cream making is no more a fuss!!! Enjoy this ice cream recipe with your kids. 1. Boil milk in a pan and switch off the flame once boiled. 2. Prepare custard powder paste by adding cold milk in powder. Add the paste in boiled milk. Mix it well and put back on flame. Stir the mixture to avoid any lump formation. 3. Cook the custard powder mixture till it becomes thick. Switch off the flame once thick and add sugar. Mix the sugar in mixture and allow the mixture to cool down completely. Once cooled, add cream, mix it nicely. Transfer the contents into mixer jar and churn the mixture until smooth. 4. Pour the custard powder mixture into a freezer safe bowl. Cover with lid and freeze for 1-2 hours till semi- solid. Then churn the mixture again. Follow this step for 2-3 times to avoid any ice crystals formation and for ice cream to become smooth and creamy. 5. Set the custard ice cream in freezer for 8-10 hours till frozen. Once ready serve and garnish with tutti fruity or rose petals.